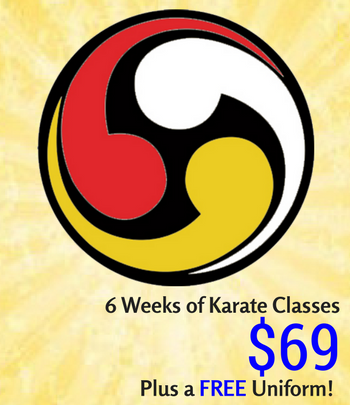 Come check out Okinawan Ryukyu Kempo Karate Classes for kids, teens, adults in our nearby Smithtown Karate school. We are passionate about sharing our art and it would be an honor to be given the chance to help you achieve your martial arts goals. 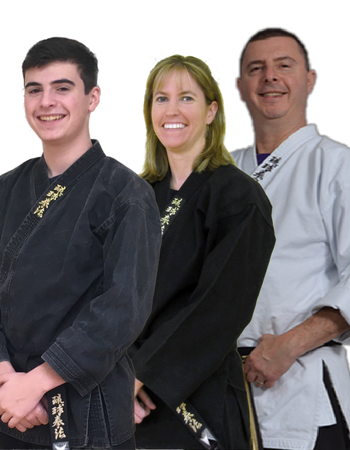 The instructors and staff that teach our Karate classes and Kickboxing classes in our Smithtown Martial Arts school are dedicated to creating a friendly and welcoming learning environment for Adults and Children of all ages (our Little Dragons program is for ages 3-6). There is a spirit of cooperation and encouragement in the dojo that makes people of all shapes, sizes and skill levels comfortable. There is a common goal for everyone to succeed and progress at their own pace. 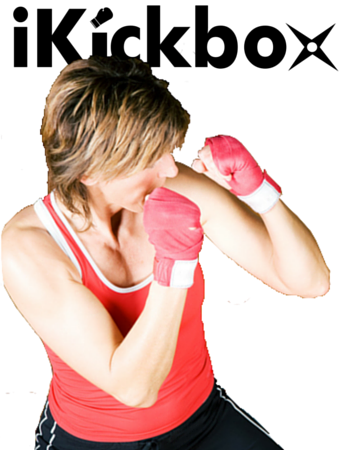 We offer numerous Martial Arts classes and iKickbox Fitness classes (kickboxing classes) 7 days a week to allow you to maximize your membership and fit training time into your schedule. 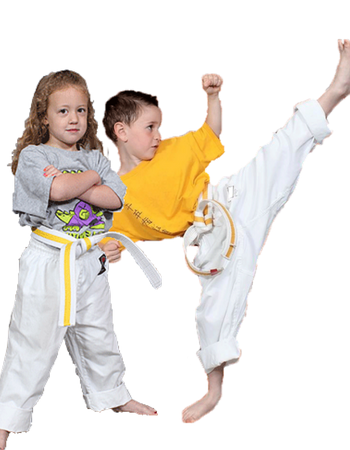 Our innovative martial arts, karate and iKickbox classes for Children & Adults at Millennium Martial Arts in Smithtown are fun, promote fitness, and provide excitement for the family. In the 20 years that we have been teaching Martial Arts in Commack and Smithtown, we have developed many innovative drills and teaching methods that make our Karate classes and Kickboxing classes an exciting, fun, and enriching experience. 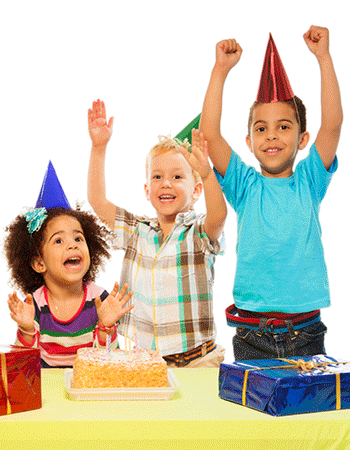 Our facility is clean, bright and immaculately maintained with close to 2000 sq. ft of floor space for our karate classes and kickboxing classes. We instill in our instructors and students the concepts of Bushido – positive attitudes, honor, integrity, humbleness, courage, respect, and discipline. We work diligently to exemplify our 5 Dojo Kun (principles) and are guided by the virtues of Ryukyu Kempo Guiding Principles. Our goal is to preserve the traditions of Okinawan Karate-Do and provide an atmosphere that is safe for our students to train responsibly in a very effective martial art. It is of the utmost importance to us that our students learn how to effectively protect themselves using practical life protection (self-defense) skills. Please browse our site and learn about our art, the various karate classes and kickboxing classes that we offer, what makes us different from other schools, and then I hope you will choose to sign up for a risk free introductory program and begin your journey! Whether you are looking for something personally challenging, or to give your child an amazing life experience, we look forward to working with you to achieve your goals. Physical Fitness, Conditioning, and Stress Relief, Confidence, Balance, Stamina and much more! 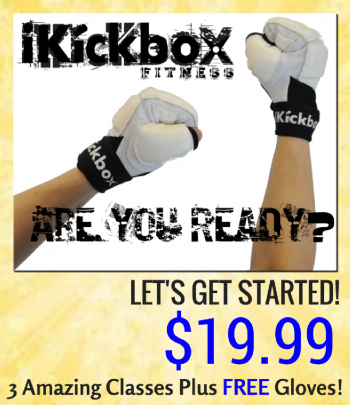 Challenging drills that can be modified for every fitness level – anyone can iKickbox! Dramatic improvements in Strength, Agility, Balance and Stamina, Stress Relief and more – a total body and mind workout! Call us with questions at 631-499-0600 or click here to email us.